German sealing applications supplier Freudenberg has acquired a battery manufacturer headquartered in Midland, Michigan, as it looks to join an intensifying electric vehicle and mobility technology race. 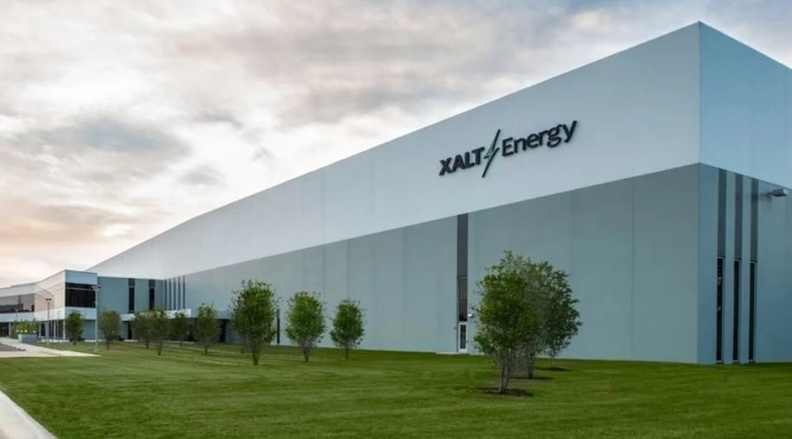 Freudenberg Sealing Technologies GmbH & Co. purchased a majority stake in XALT Energy LLC, which makes lithium ion batteries out of a highly-automated plant in Midland, according to a Monday statement. The supplier acquired a more than 50 percent share of XALT after buying a 31 percent ownership stake in the company last March, according to the release. Both transactions were "multimillion dollar" investments. Freudenberg also agreed to buy XALT's remaining shares over the next few years. Terms of the deal reached earlier this year between the two privately-owned companies were not disclosed. Freudenberg spokeswoman Cheryl Eberwein said that in the past year the company has invested more than $600 million in infrastructure technology and personnel at XALT. She said the company plans to hire 19 production staff members in the next few weeks. XALT employs about 230 people. The deal provides a capital boost to XALT, allowing it to ramp up r&d and manufacturing at its 460,000-square-foot plant in Midland. It also operates a smaller r&d lab in Pontiac. For Freudenberg, the acquisition makes it the latest entrant into an electric vehicle battery arms race that has become increasingly critical as automakers double-down on EV investment, and more competitive than ever with companies such as Tesla pouring money into lithium-ion batteries. Freudenberg also inherits partnerships with the Detroit 3 automakers, which are working with XALT through the U.S. Advanced Battery Consortium LLC — a collaboration between the automakers. "We continue to see evidence that the entire global mobility landscape — from passenger vehicles, heavy-duty trucks and buses to railroad transportation and marine shipping operations — is shifting to incorporate new powertrain technologies including lithium-ion batteries and fuel cells," Freudenberg CEO Claus Moehlenkamp said in the release. Freudenberg appointed one of its longtime executives, Jeff Michalski, to CEO of XALT at the beginning of the year, replacing Richard Cundiff, who retired. Cundiff is chief operating officer of Maryland-based Townsend Capital LLC, which was majority owner of XALT before Freudenberg bought majority share of the company. Besides changes at the helm, employees of XALT were not impacted and there were no job cuts as a result of the takeover, Eberwein said. Freudenberg Sealing Technologies is a subsidiary of Freudenberg Group, which has annual revenue of $10 billion and employs 10,000 around the world, including 225 near Detroit in Plymouth Township. XALT has an estimated annual revenue of between $20 million and $30 million.